You may be one of those travelers who lingers by the door to an airline’s lounge, hoping to catch a glimpse of the quiet, serene atmosphere you’ve heard others boast about. 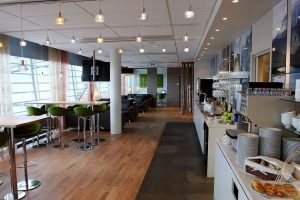 If you’re not a frequent-enough traveler to gain entry based on your status, did you know there are independently operated airport lounges that you can join through an annual membership program, or even just for the day? While airline lounges have been around for 70 years, the independent environments have only recently begun to populate larger US airports. They fulfill the idea that some airlines are too small to operate lounges of their own, and there are always travelers willing to pay for some privacy, food, and beverages. How long am I going to stay in this airport? If the answer is more than an hour and you’d like to eat, drink (free alcohol is served), work, or even nap, the lounge might be a better deal than finding a restaurant for food and making room for your laptop on the table. Do I need a quiet place to make an important call? If a deal is on the line and you have crucial business to discuss, do you really want to do that in the waiting room while the gate attendant is making announcements? Besides free wifi, these independent lounges offer laptops, sometimes printers, and dedicated workspaces. If you are on your way to visit a client, the use of a private restroom that may have a shower might be just what you need to make the best impression when you arrive. I mentioned food above, and let me provide you with some casual cost analysis here. The cost of an average cocktail at an airport bar is easily $10, and these lounges offer more than just peanuts and pretzels. The complementary (sometimes hot) food could constitute a light meal, tiding you over until you get home or to your final destination. If there’s a weather delay, you won’t be standing in line with everybody else, juggling your carry-on and other items while trying to get a bite to eat. You’ll be able to actually eat at a table or at a bar, instead of balancing your meal on your knees in that crowded waiting area. The leading US provider of these independent lounges is The Club, with locations in Atlanta, Baltimore, Boston, Cincinnati, Las Vegas, Orlando, Phoenix, Pittsburgh, San Jose, and Seattle-Tacoma airports. Day passes are $40, and, as with all airport lounges, you must show a boarding pass for same-day departure to enter. Most travelers gain access to both carrier-operated and independent lounges through Priority Pass. Its arrangements with over 1,000 establishments make it the leader in the lounge membership business. Priority Pass offers three levels of membership: standard: $99/year with unlimited visits at $27 each; standard plus: $249/year with 10 free visits plus additional visits at $27 each; and prestige: $399/year for unlimited visits. Priority Pass has locations available at 21 US airports. They say membership has its privileges, and that’s certainly true if you hold specific credit cards. With an American Express Platinum, Chase Sapphire Reserve, Chase Ritz-Carlton, and MasterCard Black, your Priority Pass membership is included. To lounge or not to lounge? That may still be your question. But with this information, hopefully you may have your answer. Are you a lounge member? Do you partake, or are you thinking about it? Share your stories in the comments below, on our Facebook page, or in our Twitter stream. Flying can be an expensive endeavor. You spend hundreds, or even thousands, of dollars to get to your destination. But then you’re nickel-and-dimed on everything else once you get to the airport. Of course, everything is more expensive, so it’s more like you’re five-and-tenned. But there are some ways you can avoid these high-priced incidentals once you get to the airport. We’ve brainstormed five ways to reduce your costs. Take an Uber or Lyft to the airport, or have a friend take you to save on parking costs, especially if you’re going to be gone for more than a week. Onsite parking at O’Hare International Airport’s long-term economy lot can run you $17/day—$40/day if you park in the main garage. While an Uber or Lyft ride might cost you somewhere in that range, that one-time cost will not grow exponentially while you’re on your trip. Better yet, ask (or bribe) a friend or family member to take you and pick you up. This option will be far cheaper than any other option, and your car will still be safe at home. As frequent travelers, and the luggage supplier to business travelers all over the world, we’ve shared a lot of travel advice. And one of the things we know is that while we may not enjoy sitting in an airport, trying to get work done, it’s worse to stand in line and not get any work done at all. A recent article in Smarter Travel shared several ways to save time and get us out of line, as well as save some money in the process. These can save you anywhere from several minutes to a few hours of time, and let you get more work done, or you can simply have more time to relax. Download your airline’s app. This free service will let you know if your flight has been delayed, and has up-to-date information about arrival and departure times. You can be in the know about where to find your connecting plane. Plus, the GateGuru app can give you information about security wait times, gate changes, and maps of over 200 airports. Check in online. 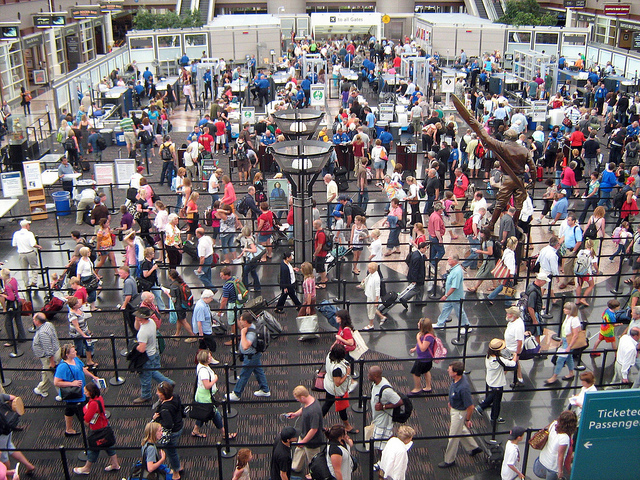 This is the easiest way to bypass a line and get on your way to security faster. Online check in also provides you with a virtual boarding pass which you can scan with the TSA officer instead of having to juggle it and your identification. Better yet, just use your airline app. You don’t even have to mess with your laptop and printer. Protect Your Personal Information. Be very, very wary about using public wifi. Not every free wifi hotspot you see is legitimate; some enterprising thief can set up a fake hotspot called AIRPORT_WIFI and you’ll never know the difference. So, be sure all your computer security and the firewall are up to date, before you leave the office. Next, never do any personal banking or financial transactions online when you’re in public. If you need to work online, use your mobile phone’s personal hotspot. Bring food with you. You won’t be gouged for overpriced airport food that probably isn’t very healthy, and you’ll know who handled that piece of fruit before you. Consider some pre-packaged energy bars as well, because they’ll keep in your bag for a few days. Mark your luggage. Even if you don’t check your bag, there are still a lot of black carry-ons out there. Be sure to have a luggage tag with your name and address securely fastened to the bag. Consider adding something to distinguish the bag from everyone else’s, like a decal, or tying a very small tchotchke to the handle. How do you minimize downtime in the airport? What do you do to avoid lines and still say efficient? Share some ideas in the comments below, on our Facebook page, or in our Twitter stream. How Many of the World’s Best Airports Have You Been To? Each year, Travel + Leisure magazine gives awards in various categories. In 2013, it added World’s Best Airports to its annual reader survey. 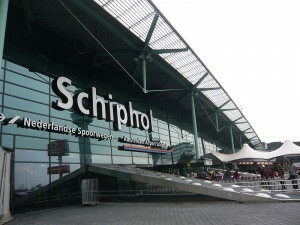 2015’s winners were divided into international and domestic airports, and with all the glowing endorsements, each could be a destination in itself. 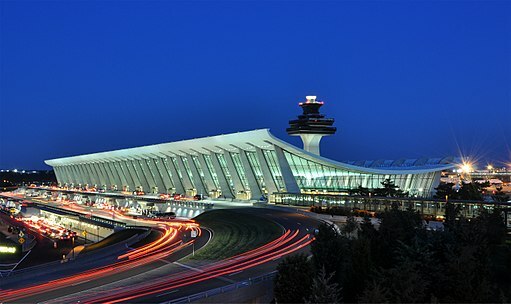 Amenities abound and set each of the top five international airports apart. 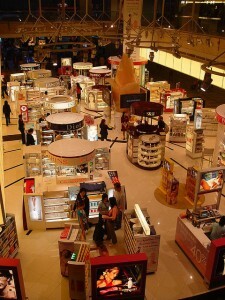 Changi International Airport, Singapore. The aesthetics, from the layout to free foot massages, combined with unique experiences like a butterfly habitat, a rooftop pool, and five garden environments, all work together to help travelers forget they’re even in an airport. Hong Kong International Airport, China. Diversions abound, be they iSports, a regulation golf course, an IMAX theater, or Michelin-starred dining all set the tone for hassle-free experience in this world-class city. 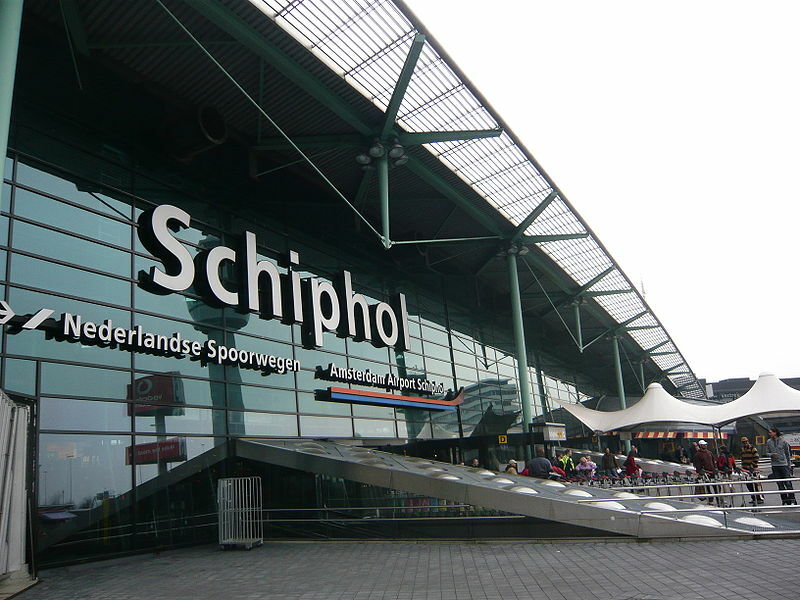 Amsterdam Airport Schiphol, Netherlands. Paintings by Steen and Rembrandt and a library with tomes in 29 languages offer two options for fine art experiences during a layover here. A calm atmosphere is created before you ever enter the complex with noise-reducing ridges and ripples that are featured in the Buitenschot Land Art Park. Zurich Airport, Switzerland. Speaking of calm, the Swiss logic and order that this airport exudes creates a graceful backdrop for the stunning scenery available at the twin rooftop terraces allow you to cleanse your lungs and clear your head by inhaling crisp Alpine air. Munich Airport, Germany. It’s no surprise that readers listed the impressive German engineering on display at this airport, which boasts impressive runway views. Not surprising either was the mention of Airbrau, an onsite brewery with live music, which offers a taste of Bavaria without every leaving the terminal. Domestic airports were also praised for their conveniences, customer service, and food, although none of them sported a golf course or onsite brewery. Still, none of the international picks had goats! Portland International Airport, Oregon. An impressive on-time record and convenient location, along with the best quirks of this eclectic town made it number one with travelers. Goats remove invasive plant life and food trucks offer unique, local dining options. Tampa International Airport, Florida. An uncomplicated layout and design that lets the sunshine elevate this airport to number two. An indoor/outdoor terrace offers concessions, an automated train that will take you to your terminal, and estimated checkpoint wait times are among the modern features. Minneapolis/St. Paul International Airport, Minnesota. While Minneapolis can’t offer sunshine and a warm climate, it warmed the heart of travelers with its cheerful service and upscale shopping. Dallas Love Field, Texas. Everything’s bigger in Texas may be the saying, but smaller is better when it comes to a leisurely airport experience in the state. Murals, sculptures, and paintings by artisan Texans, combined with fabulous local food favorites give this airport a unique vibe. Austin-Bergstrom International Airport, Texas. On-time, hassle-free, and excellent customer service, all just minutes from downtown make Austin’s airport the pride of the city. Those wanting one last taste of the world-famous local food scene can also get Salt Lick Bar-B-Que before they take flight. Which airport is your favorite? Did we miss one? Leave us a comment below oron our Facebook page, and let us know which are your favorite airports in the world. Go through enough harrowing travel experiences, and you might start to wonder whether airports, airlines and security personnel are conspiring to conduct a cruel, long-term experiment on just how much stress and misery travelers can take. 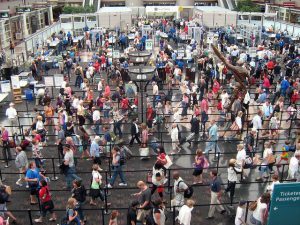 Contrary to popular belief, many officials are working to make the experience better for travelers. An encouraging blog post on FutureTravelExperience.com features some technologies and ideas that airports are trying out to make travel more pleasurable. FTE’s article mentions regular musical performers at the Seattle-Tacoma airport, and that introducing music for its travelers’ enjoyment has increased the airport’s Airport Service Quality (ASQ) score to 4.14 out of 5. I have even enjoyed an authentic Chicago blues band while waiting for my luggage at Chicago Midway’s baggage carousels. This is one way to reduce the stress, while waiting for your bag to arrive at the carousel. It’s safe to say that much of the stress and unhappiness around air travel happens because of a lack of rest. From waking up early to wait in long security lines and gate seating areas, everything’s a little worse when you don’t have the rest you need. Helsinki Airport has created some potential solutions to the stress and exhaustion of travel: relaxation areas with sleeping tubes, rocking chairs and even a book swap. Traveling to Abu Dhabi? The Guide To Sleeping In Airports, a blog dedicated to exactly what the name says, mentions sleep pods right out in the middle of the terminal with roll-up shades that completely enclose travelers trying to get a bit of shut-eye. In the United States, Minute Suites at airports in Atlanta, Dallas-Fort Worth and Philadelphia offer a private place to catch a quick nap or enjoy some peace and quiet to get a bit of work done at the airport. The price is $34 an hour. Or if you’ve got the time, you can purchase a day pass at an airline’s travel lounge and spend a few hours there between your flights. For example, a day pass at Delta’s Sky Club is $50 for a single day. The chairs are comfortable, there’s snack food available, and even easy access to electrical outlets and wifi. Have you experienced any of these new travel amenities? Seen something we didn’t mention! Comment here with your thoughts. The words “delay” and “layover” are apt to cause even the most seasoned air traveler to feel just a bit stressed out. Thankfully, airports are starting to recognize that they’re in the business of customer service and that nowadays, savvy travelers are apt to select layover airports based on amenities and comfort. If you happen to find yourself stuck in an airport on a layover or flight delay, don’t spend your time stressing – instead, why not enjoy yourself? Here are eight of our favorite ways to not just survive, but actually enjoy a layover. Whether you’re interested in picking up gifts, shopping duty free or checking out designer wares, many airports are now increasing their retail options, making them an excellent place to get some shopping done! Even better? Denver, Los Angeles and Vancouver airports are all planning outlet malls next to their airport terminals. 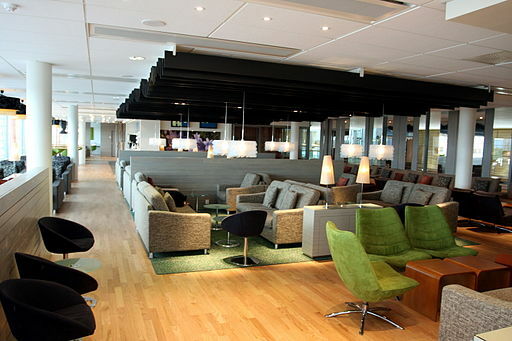 Think you can’t gain access to an airline lounge simply because you’re flying coach? Think again! Many lounges now allow travelers to pay per visit, making them a great place to kick back and relax. It may seem like an oxymoron, but many airports are actually great places to squeeze in some relaxation. Listen to music, read a book, or take advantage of the free WIFI many airports now offer and watch a movie online. Having a hard time relaxing on your own? Pamper yourself! Many airports now offer barber shops, salons, spas and massage kiosks. In this fast-paced world we live in, it can be hard to find the time to catch up with friends and family. Why not take advantage of the down time and do some catching up? If your cell phone battery is low, fear not – most airports are now offer charging stations. Airports, bars and restaurants can be a great place to meet people of all walks of life! Who knows – you may end up meeting a future client or love interest! Yes, it’s true! Many airports now offer clinics that conduct routine physicals and inoculations. If you haven’t been to the doctor lately, there’s no time like the present. If you’re stuck on a long delay, venture out of the airport and do some sightseeing! Most, if not all airports have kiosks that provide tourism information. If you do venture out, just be sure you’re back in time to get through security.